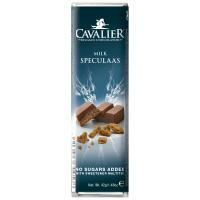 A "Cavalier" chocolate bar, type "Speculoos Milk", with Maltitol instead of sugar. Cocoa solids: min. 37 percent. 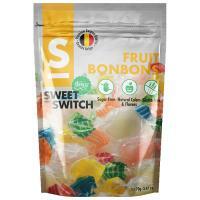 Candies from Belgian producer Sweet-Switch, sweetened with stevia extract instead of sugar. Peach jam, sweetened with stevia extract, isomalt and sucralose. 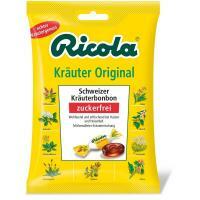 Has only 56 calories per 100 grammes. Peach: 55%.